I think it would be because I am watching your channel, and he peeps (he totaly don't understands English). Have a beautiful weekend, because you are changing my, or our (I hope) life for better! Hugsss and greetings from Poland. That's great news. It root it so quickly. I love your cardigan. So colorful. Whew, I'm glad you can say some of those cacti names! I struggle with dahlia – is it day-lia or dar-lia? As ever, your enthusiasm for your subject makes for a brilliant watch, thank you very much. That is great i did the same so far is doing great . 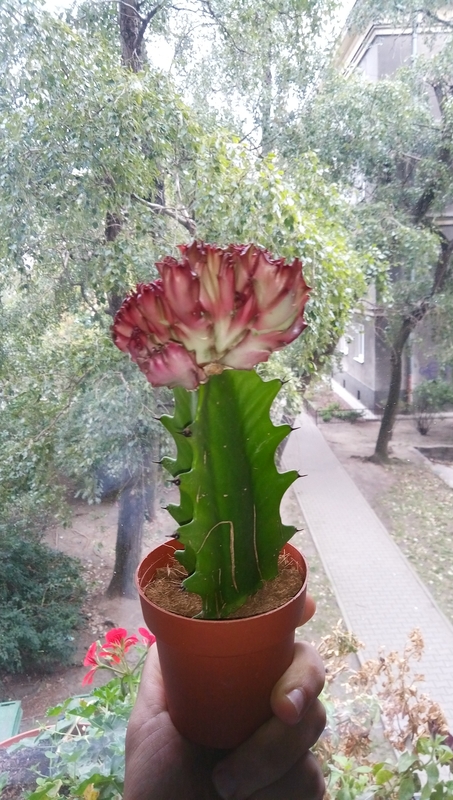 I have a moon cactus I'm having trouble rooting. Do you think I could start putting it in water? I havent seen your polytunnel in a while. I love how you have the tall specimens in the middle together. Another great video! I love the channel and love what you have been teaching us all! I'm working on following in your footsteps and have been adding to my YouTube channel as often as possible, really would love some support from the community! Please check out my channel and subscribe! Happy Gardening! !